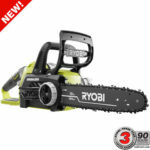 Recently spotted in Australia is a new Ryobi 18V 10 inch Brushless Chainsaw model OCS1825BL. 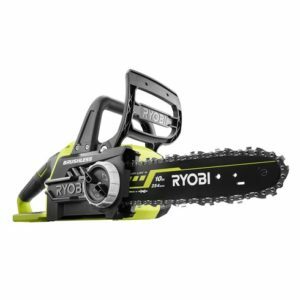 This is great news as it shows Ryobi’s continued commitment to more and more brushless power tools. 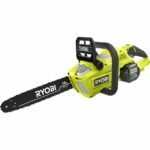 Ryobi’s current 18V model is also a 10″ chainsaw but this new model features a brushless motor which will give it longer runtime than before along with the usual brushless motor benefits such as less maintenance and a longer lasting motor. 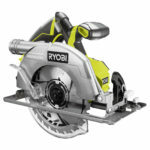 The new model is also listed as having a chain brake. Not sure if this is a new feature to Ryobi’s 18V chainsaws as but I’m going to assume so since the current non brushed model does not state that it has a chain brake. 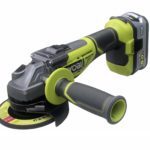 Keep in mind that as all new tool launches in other global markets, this model may or may not show up here in the USA. If it does, it will most likely have a different model number than the one shown for the Aussie market. It’s goi to have to be significantly faster than the old brushed version to actually need that chain brake. I do wish they’d make a 2 battery 18v version like Mikita does.